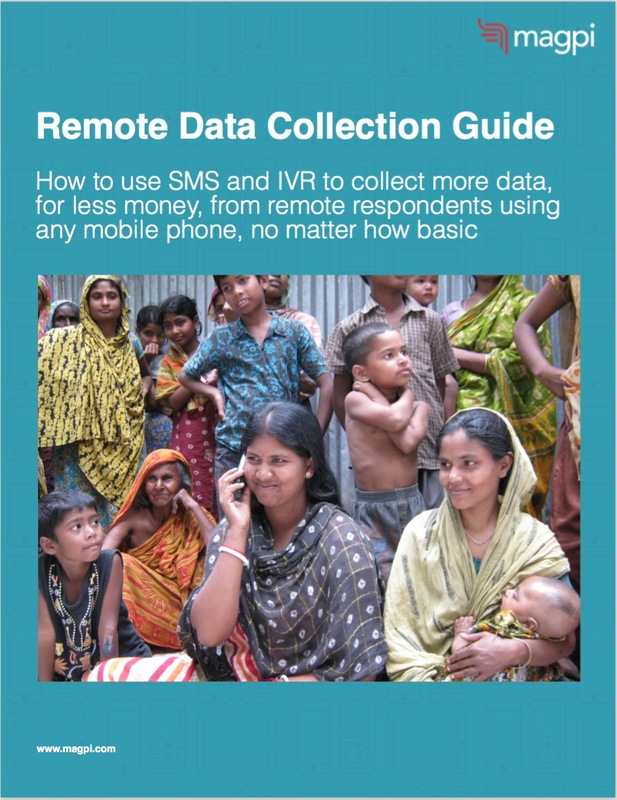 Download Our Remote Data Collection Guide and Learn How to Use SMS and IVR to Collect More Data, for Less Money, from Remote Respondents Using any Mobile Phone, no Matter How Basic. As mobile devices have gotten less and less expensive – and as millions worldwide have climbed out of poverty – it’s become quite common to see a mobile phone in every person’s hand, or at least in every family, and this means that we can utilize an additional approach to data collection that were simply not possible before. In addition to "go-to-field," Magpi also enables "get-from-field": people already living or working in remote sites can send information via IVR (interactive voice response) or SMS (or via an app if their device supports apps). Key benefits of remote data collection in each of three different situations. The direct impact of remote data collection on reducing the cost of your efforts. How to start the process of choosing the right option for your needs. Complete the form to access and read your copy of our new guide now. Copyright © 2019 Magpi - All rights reserved.